Many years ago my family used to spend the summer with friends who owned an old farmhouse in the hills near Manresa in Catalonia. When they bought the house it was quite derelict, but a great deal of time, effort and, no doubt, expenditure turned it into something quite special. The house is miles from a tarmac road and reached on several miles of dirt track that leads through other farms. Although these days they have mains electricity, back in those days the 12 volt supply required a generator to be run twice daily and water was always in short supply; the house relied upon collecting rainwater but was in an area that frequently suffered from drought. After a few years a swimming pool was added, which in those hot dusty Augusts was absolutely required and during the afternoon it was simply too hot to do anything outside and so I’d sit somewhere in the shade, often with my nose in a book. The house had a good selection of English language books, including an American paperback edition of Thunderball, and I think it also had For Your Eyes Only. 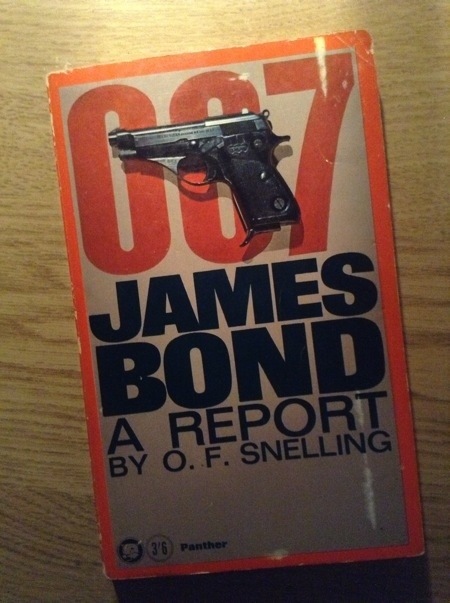 However, one book that really caught my attention was Double O Seven James Bond: A Report by OF Snelling. Snelling worked in Sotheby’s Rare Book Department and was highly regarded in the rare book trade and, at least according to Wikipedia, met Fleming while assisting him with some research. Wikipedia also states that this was the only book of this type to be personally authorised by Fleming. 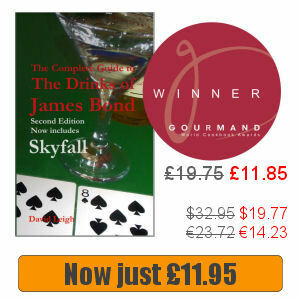 The book was first published in 1964 and while it touches upon the film series, the focus is on Ian Fleming’s books. In the first chapter, ‘His Predecessors’, Snelling compares Bond’s adventures with Richard Hannay, Bulldog Drummond and Jonah Mansel, who he called “Clubland Heroes”; following that the focus is on Bond himself, with chapters titled ‘His Image’, ‘His Women’, ‘His Adversaries’, and ‘His Future’. I bought a copy of the original several years ago at the same time as Kingsley Amis’s The James Bond Dossier, which I intend covering soon. I have a copy of the Snelling 007 book in first paperback edition but cant read the thing because of theextremel;y sdmall print Signet used in al of their paperbacks. I can’t even read my old Bod PBs because of that print problem. thak goodness those are on e-ook now, thouh I have always felt Bond was meant to be readin the original hardcoiver orpapeback editions. 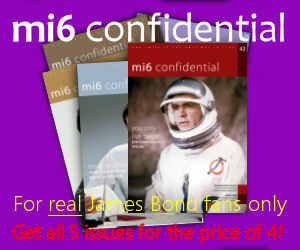 Anyway, I am trying to find a hardcover of the 007: A REPOrt book in hardcover (prefered) or n e-book format. Alo looking for the 2 Amis books in E format as I have them in pb & HC but worry about damaging them.